Thank you Claudia. I just have to tell you that over the years we have used Royal Staffing only a hand-full of times, but each and every one of the candidates that you sent over was terrific. They all worked for us for a minimum of 2+ years before moving on, and one of the candidates, is still with us. 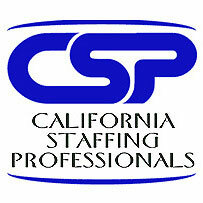 You guys have an awesome screening process which really makes life much easier for the employer. Just dropping you a line to say how thankful I am for the years I have had the pleasure and privilege of working with you and Claudia. And of course for my new job! THANK YOU SO VERY, VERY, VERY MUCH for all your support and working with me. I will never forget it and would not hesitate to refer you to anyone out there looking for a job. You were not just awesome, thoughtful, cheerful and hard-working, but always comforting, encouraging and reassuring that time would get better and employment opportunities would pick-up. Your qualities are what Royal Staffing Services needs to be successful and keep companies and job-seekers happy as well.